Do you think that having a 1300 number will do your excavation business any good? If you are an excavation contractor based in Melbourne, Sydney, or anywhere else in Australia, then you should listen up. There is no better time than now to claim your piece of the huge excavation services pie as the way houses are getting constructed right now, and way into the future, is mind blowing. Did you know that urban development of new households would account for around 22 percent by 2030? This means only one thing. More residential areas would be needed, which calls for more excavation services. In this regard, serious consideration should be given to phone words such as 1300 EXCAVATE. If there is one phone number name you should be interested in, it would be this one. 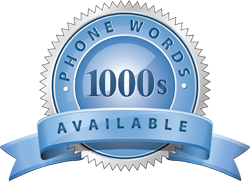 1300 Easydial have access to a variety of phone words so you can secure your brand name before someone else does. This is your one chance to make your phone number name do your advertising for you, capture the interest of property developers and investors, secure deals with building contractors, and secure a host of other opportunities that would have been left on the table if you chose not to leverage the power of phone words like 1300 EXCAVATE. Even if you think that you can source a 1300 phone number that is more to your liking, 1300 Easydial will assist you in choosing a phone word that is right for your business. You may want to opt for a 13 number instead. The choice is yours. Know that opting for a 13 number is way more expensive than a 1300 number. Most businesses find that the number 1300 is almost like a jingle and customer somehow find it easier to remember. Make use of live answering where the incoming call could be redirected to a trained individual who will be able to answer some basic questions, or record a message so you can follow up at a more convenient time. This service is available 24/7. Voice to email is another option you want to look at as callers would simply leave a voicemail message that will be forwarded to your email address automatically. Heck, your excavation business will even be regarded as big business should you opt for an introduction message, coupled with and IVR system where your customer will be routed to the right division by either pressing 1 for account, or 2 for customer services. It is entirely up to you whether you choose to invest in what we perceive to be a very lucrative proposition with regards to the profits you will make with 1300 EXCAVATE. Contractors, land surveyors, property developers, and more, will all be looking for experienced excavation companies in the near future. Contact 1300 Easydial to learn how to convert to a 1300 phone number name.